Pocket knives are convenient tools that can come in handy for most anyone. Men and women alike can benefit from the convenience of having a pocket knife. They are useful for occasional use and for emergencies. If you are an avid camper or traveler, a pocket knife that has multiple uses can be especially convenient. When faced with an emergency situation, the pocket knife can be used to saw wood, kill fish and prepare meals. For convenience, you can have a handy bottle opener and corkscrew which may not be readily available in all situations. How to choose the right pocket knife will depend on your needs. If you want something to carry around with you at all times, a smaller, multipurpose pocket knife might be best. For professionals, a nice engraved pocket knife that has a knife and possibly a few other tools will be perfect. They can be purchased at home improvement stores, accessory stores and knife stores. Executive pocket knives can fit into a purse or briefcase easily and look elegant as well. They retail between ten and fifty dollars and can be personalized as well. For more practical knives, such as a kind you may keep in your automobile or for use on camping trips, go for the multi tool pocket knives. The Swiss Army knives are the most popular and there are a variety of sizes available. These tools range from approximately thirty dollars to two hundred dollars. There are multiple tools that will go with them such as different sized blades, nail file, scissors, saw, corkscrew, screwdriver, can opener, toothpick, tweezers and magnifying glass among other options. The multi tool pocket knives are a little thicker than smaller knives but they still are small enough to fit into a pocket, purse, briefcase or backpack. 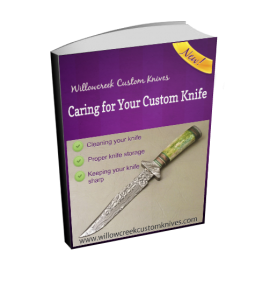 Choose the pocket knife that is best for you by considering use and price.